One of the challenges I face in my life today is how to satiate the appetite of my always-hungry, 13-year-old son. I recently discovered that meatballs hit the spot. I call them Eazy Lazy Meatballs because they are easy enough for my son to make by himself so I can be lazy about dinner for a night or two. 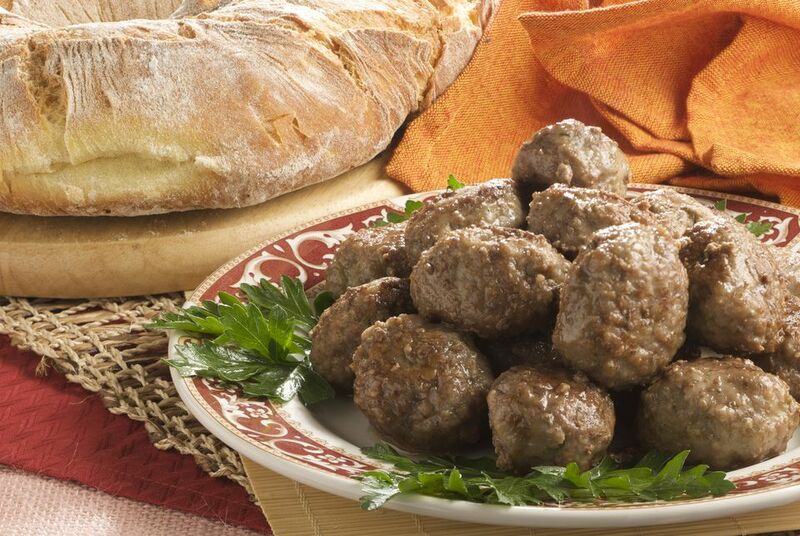 Here's another easy meatball recipe. In a bowl, combine meat with eggs, bread crumbs and spices. In a pot, combine the sauces. Place over medium heat. Cook for 5 minutes, stirring occasionally. Form the meat mixture into balls the size walnuts. Carefully add the meatballs to the pot. Cover the pot and cook on low for 40 minutes.